Sandbag is an indispensable safety measure on any set to ensure that stands don't tip over and damage expensive equipment and cause injury, resulting in expensive downtime. 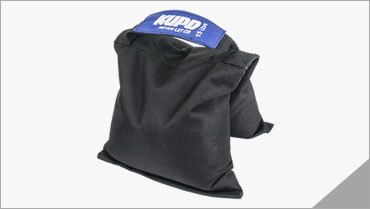 Kupo sandbag features a saddlebag design that is ideally suited to drape over stand legs and boom arms. It ships empty so that you can fi ll it with your choice of weighty material translating to much lower shipping costs. 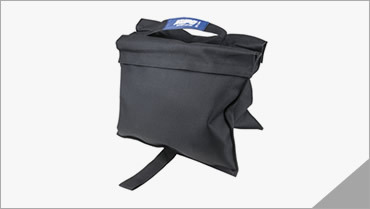 Double velcro design also ensures no sands leaking out of the bags. There's a convenient handle with rubber cover on top for easy repositioning and an eyelet and spring lock equipped for attaching to boom hooks. The new solid construction shot bag with non-slip strap deign allows to weight down light stands by just wrapping around the stand base. The premium shot bag also offers a variety of use included offset a boom arm, wrap around tripod or light stand bases, or hang midway on a stand handle to offset the weight of something. The 2mm steel balls are pre-filled and sealed up with the bag which makes it dense weight and never leak. 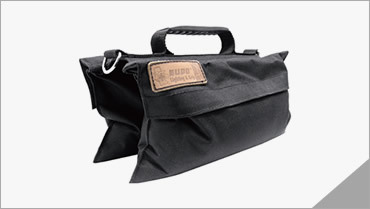 The compact size design also makes the shot bag easy to carry, pack and does the job perfect. 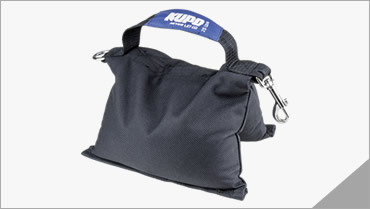 KUPO WRAP & GO SHOT BAG The new solid construction shot bag with non-slip strap design allows to weight down light stands by just wrapping around the stand base. 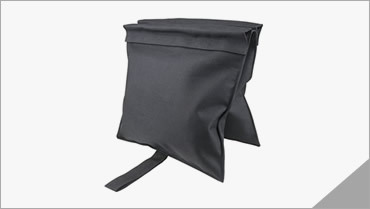 The premium shot bag made of 1000 denier black textured Nylon also offers a variety of use included offset a boom arm, wrap around tripod or light stand bases, or hang midway on a stand handle to offset the weight of something. The 2mm steel balls are pre-filled and sealed up with the bag which makes it dense weight and never leak. 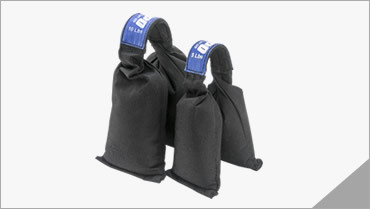 The compact size design also makes the shot bag easy to carry, pack and does the job perfect.